President Nana Addo Dankwa Akufo-Addo has opened the fifth Economic Community of West African State (ECOWAS) Presidential Task Force meeting on the single currency programme regime at the Accra International Conference Center with a call on member states to help achieve single currency by the year 2020. In attendance are presidents of ECOWAS member states, governors of the Central Banks and financial experts from foreign and ECOWAS regions. The meeting, among other things, will provide member countries with a common platform to deliberate on issues relating to the ECOWAS single currency programme and consider to adopt a revised road map to accelerate the consideration of the single currency by 2020. 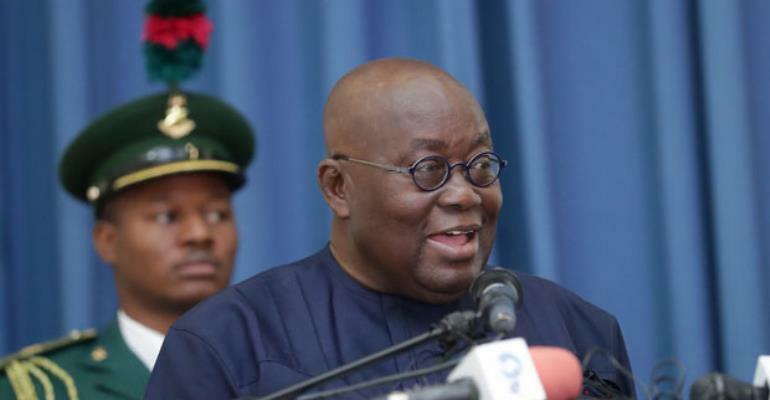 Mr Akufo-Addo in his opening speech said: “It has been nearly 20 years since the idea of the establishment of a single currency for ECOWAS was proposed. We've had challenges along the way towards the attainment of the convergence criteria required for the single currency to come into effect. He continued: “In this regard, I urge ECOWAS member states to renew their commitment to the ratification and the implementation of the relevant ECOWAS protocols that is the protocol of the free movement of persons, goods and services, the ECOWAS trade liberalisation scheme and the common external tariffs”. The last meeting of the Presidential Task Force on the ECOWAS Single Currency Programme was held in Niamey, Niger in October, 2017.